Looking to Save Your Lawn From the Florida Chinch Bug? Blissus insularis Barber, more commonly known as the Chinch bug or the St. Augustine grass destroyer! The Chinch bug is the reason that many Pasco County and Florida home and business owners end up spending thousands on replacing dead St. Augustine grass. Chinch bugs are most active in July, but thrive and survive in your lawn year-round. The southern chinch bug thrives and does most of it’s damage during the humid, warm and wet summer months in Florida. Chinch bug infestations generally peak in early July. Some say, the Chinch bug never has to leave home and will hunker down around the roots of your lawn during Florida winter. Often times, when chinch bugs become highly active again after winter, they will start eating where they left off and continue to damage your beautiful Florida lawn. Lawn Spraying and Chinch Bugs – Get a Quote for Lawn Spraying – Click Here to Find Your Service Area in Land O’ Lakes or Surrounding Pasco County. In a Hurry? If you want to save your lawn from the chinch bug, our lawn spraying services will get the job done. We’ve provided outdoor pest management and lawn spraying in Land O Lakes, Trinity, Odessa, Keystone, Lutz and Wesley Chapel for decades. Prevention is the key to saving your lawn from the damage that the Chinch bug can cause. If you already have an infestation of the chinch bug, then call us right away to avoid further devastating damage the chinch bug can create. Don’t spend money replacing your lawn, use our affordable lawn spraying and pest control services and keep your outdoor garden looking beautiful and healthy! Also, be a good neighbor! Read the information below to find out how much ground chinch bugs can cover. Within Florida, the most severe damage from the Southern Chinch Bug occurs in the central and southern counties? That means the Chinch Bug loves lawns in your Pasco County community! 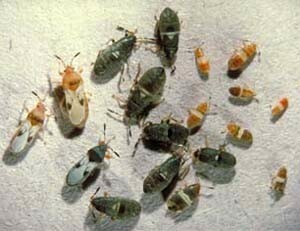 Lawn Spraying for Chinch Bugs in Pasco County is Important. This is damage caused by the Southern Chinch Bug. A population of Blissus insularis usually stays in the same area throughout the year The southern chinch can fly, but In most of the time, a population of Blissus insularis moves from one lawn to the other within the same community. Chinch bugs will stroll from a damaged and infested lawn to a new area of fresh, green (usually St. Augustine) lawn to feed. They can cover over 400 feet in under an hour! Don’t underestimate this tiny creature! If you and your neighbors are noticing damage, be kind to your other neighbors and let them know that you have a problem so they too can have their lawn treated and so you can keep your communities’ landscaping looking healthy and beautiful. 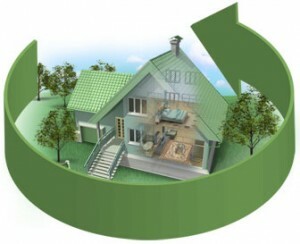 Our Service Area for Outdoor Pest Control and Lawn Care Services. Bay Area Lawn and Pest Control services provides lawn spraying in neighborhoods such as Connerton, Asbel Creek, Wilderness Lakes and The Groves to communities in Odessa and Keystone and beyond! We’re likely already in your community so call us today for a free estimate on our affordable lawn spraying and pest control service. We also offer irrigation repair and maintenance services to keep your lawn irrigated properly.